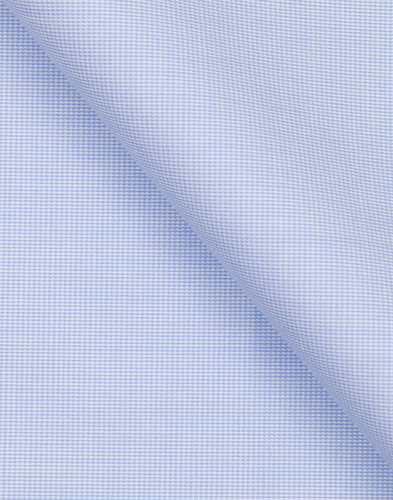 Sky blue fabric of a twill weave. 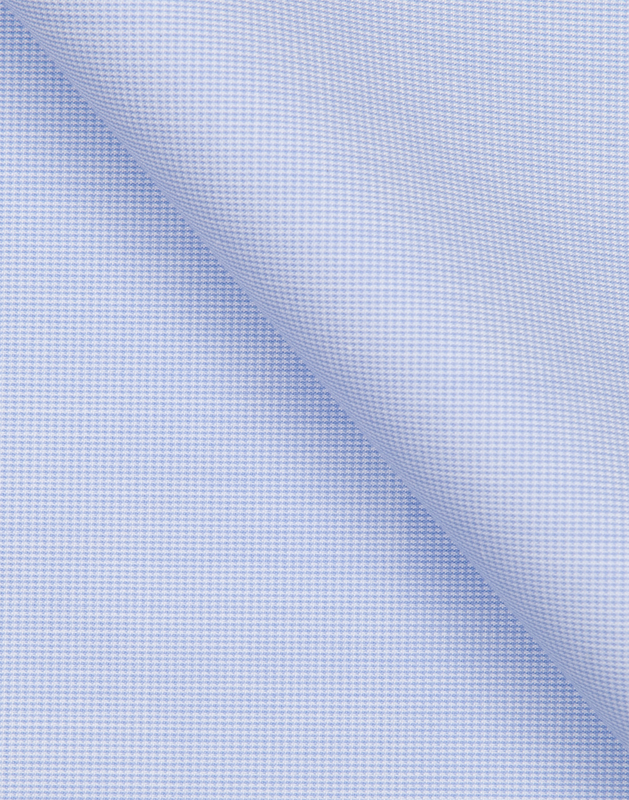 The fabric has a fine grid structure which gives it life and lustre while making it tolerant to wrinkling. 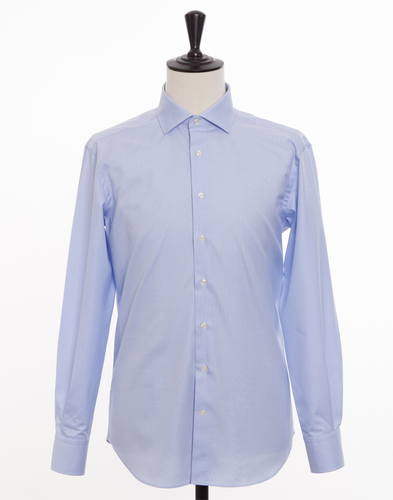 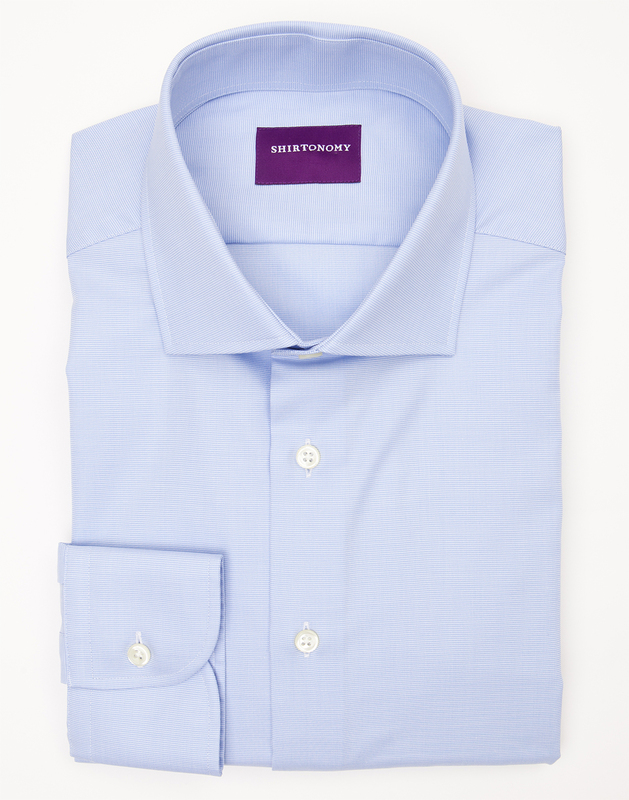 The blue shirt is is a staple in most wardrobes because it works in virtually every situation, with most combinations. 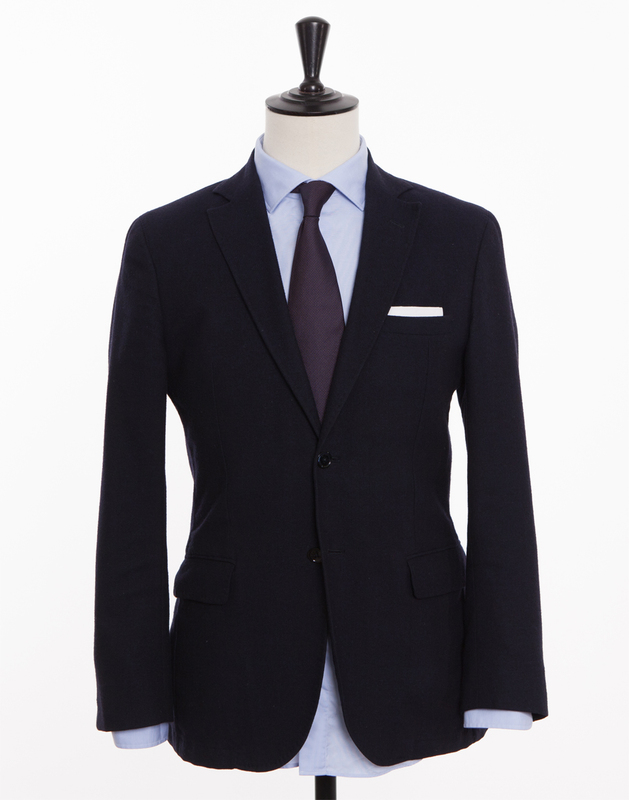 The fabric is woven in Italy of double twisted long fiber cotton.